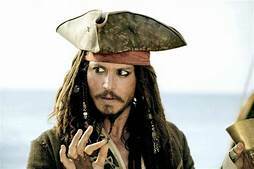 …the characterisation of Cap’n Jack Sparrow is nuanced up so deliciously by Master Johnny Depp that the story line is a far secondary consideration to this ol’ Scots Jurassic movie-goer… but that’s where my affinity with pirates begins and ends… I’m a self-publishing author (yeez may have noticed! )… and like so many thousands of my fellow scribblers, my WURK is the result of many long hours, days, weeks and months of pouring my creative heart and soul into my Jack Calder crime thrillers… how galling it is then, to acknowledge that hundreds, if not thousands, of pirate sites steal our books and pass them on to readers who may or may not be aware of their illegal complicity in these sales… I use the Blasty program in an effort to minimise the theft of my titles, but I know, like the Hydra, the more that get cut down, even more rise up in their place, usually the same operators switching to yet another name to peddle their stolen goods… it is NUTHIN short of flogging counterfeit products… someone else’s labour purloined… sadly, the practice is widespread, and the only means most of we writers have to counter effectively without the huge costs of suing, is attempting to persuade the reading public NOT to download pirated books… please share the message… pirate book downloads are THEFT… see yeez later… LUV YEEZ! I agree, i usually figure out the plot too early. I wish the folks who think it’s just fine to help themselves to a free copy of a book would appreciate they are actually stealing. And as Chris above has pointed out regarding the pirates – their own motivations in going to the trouble of amassing free copies won’t be altruistic. Check out this humorous, but important post from Seumas Gallacher on the pirates among us as authors and how they are not as charming as Captain Jack Sparrow from his blog. Beware and don’t buy stolen books. Seumas is right.